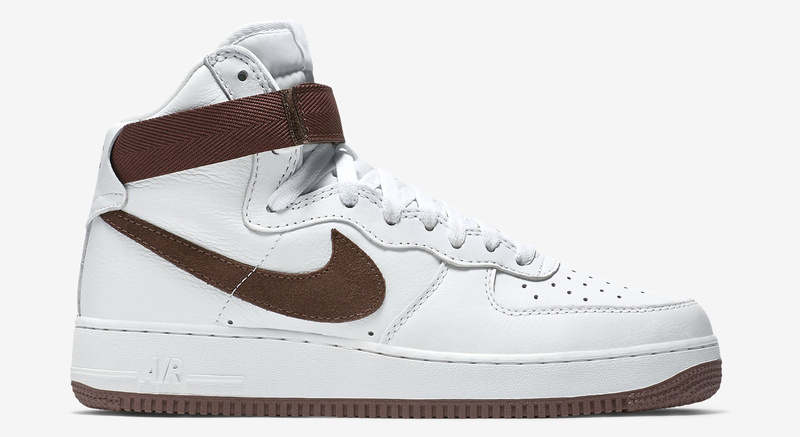 Another OG style on the way. 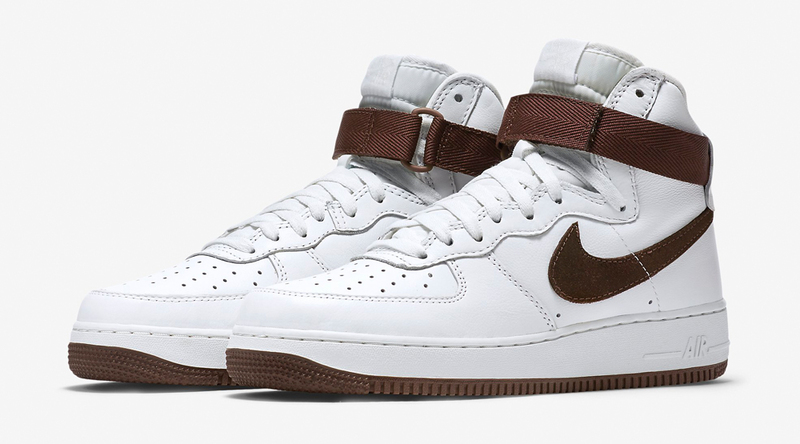 The Nike Air Force 1 High has had a great year thanks to the group of OG-style releases, a group that's about to get bigger with the debut of this pair. 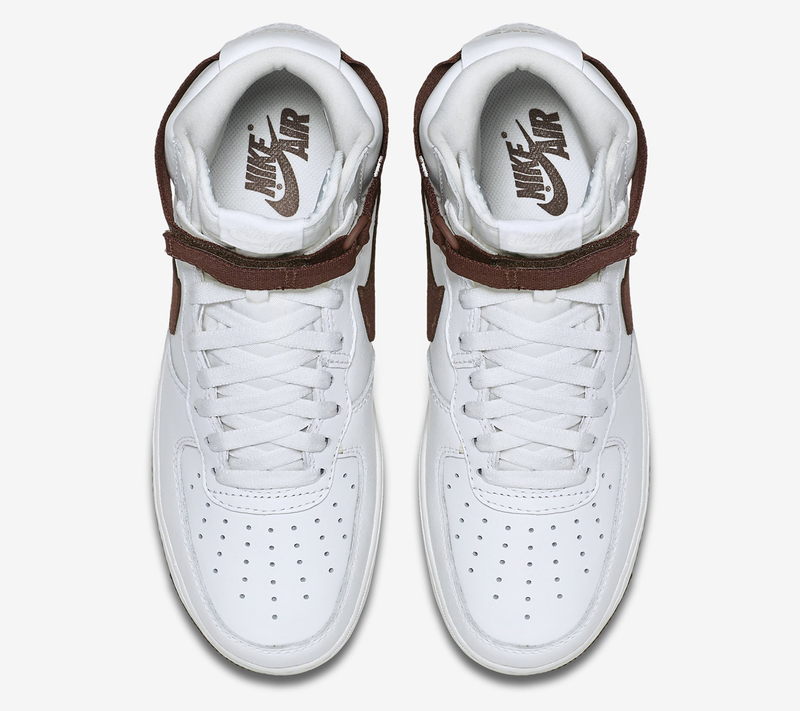 The sneaker very much sticks to the script in that it's got the plain white leather upper that's set off with color on the strap, outsole, Swoosh, and "Nike Air" hits on the inside and back. 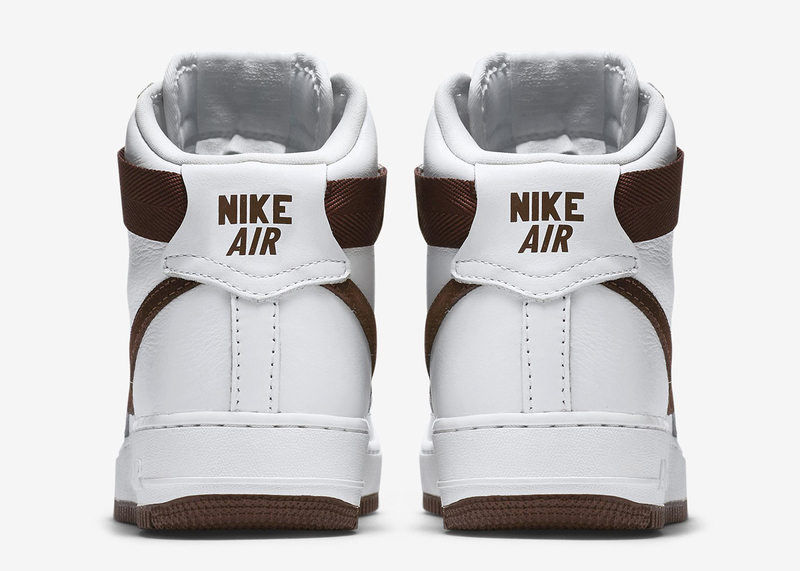 The color in this case is a chocolate brown, giving the shoe one of its more toned down looks in recent memory. While there is no U.S. sneaker release date for these, they're apparently releasing in Australia this weekend. 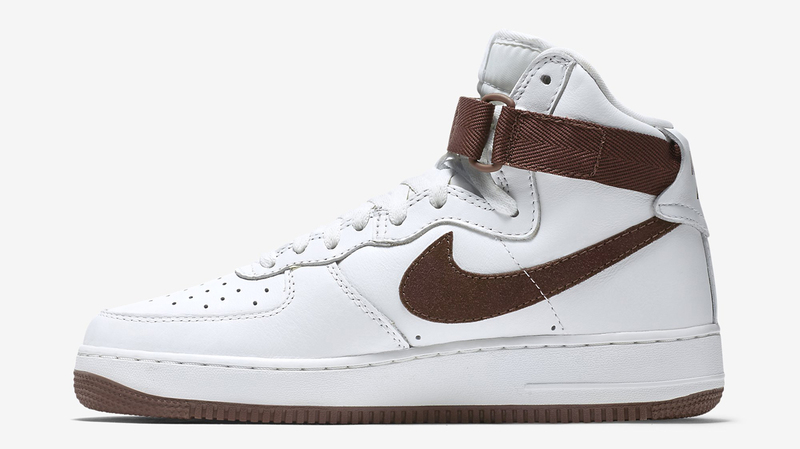 Sole Collector will provide info on a stateside drop as it's available.